Currently, the Digital Twin technology is moving towards creating a digital representation of a real world object with focus on the object itself. However, when every real world object (e.g., a car, a machine tool, a factory, a person) has a Digital Twin counterpart, the spatio-temporal relations between the objects’ Digital Twins become more valuable than the individual Digital Twins. 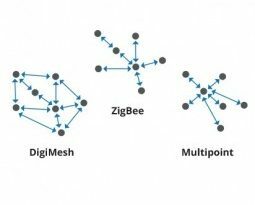 Rather than locally and individually optimizing systems as it is done today, there will be major efficiency gains when the interactions between objects are optimized at a system-of-systems level. Digital twins, a name created by General Electric to identify the digital copy of an engine manufactured in their factories, are now a reality in a number of industries. They can be almost “identical” to the real thing, like in the case of General Electric engines and some modern keys where you have to take their digital twin to get a copy, or pretty accurate replicas like in case of Tesla cars or more coarse representation in case of other products.These digital twins can be used for a variety of purposes, simulation and monitoring are clearly common applications. They can also be used as platform to test ads on (these latter also in the form of digital twins). The growth of digital twins is steamed by the growing digitalization in the design phase that ends up in producing a digital copy of the final product, digital copy that is used in the manufacturing of the product in the factory by using robots and other sorts of digital controlled manufacturing tools. Digital Twins, the virtual counterparts of the physical assets are created as digitized duplicates of machines/ equipment or physical sites using sensors. These digital assets can be created even before an asset is built physically. To create a digital twin of any physical asset, the engineers collect and synthesize data from various sources including physical data, manufacturing data, operational data and insights from analytics software. All this information along with AI algorithms is integrated into a physics-based virtual model and by applying Analytics into these models we get the relevant insights regarding the physical asset. The consistent flow of data helps in getting the best possible analysis and insights regarding the asset which helps in optimizing the business outcome. Thus the digital twin will act as a live model of the physical equipment. Manufacturing: Digital Twin is poised to change the current face of manufacturing sector. Digital Twins have a significant impact on the way products are designed manufactured and maintained. It makes manufacturing more efficient and optimized while reducing the throughput times. Automobile: Digital Twins can be used in the automobile sector for creating the virtual model of a connected vehicle. It captures the behavioral and operational data of the vehicle and helps in analyzing the overall vehicle performance as well as the connected features. It also helps in delivering a truly personalized/ customized service for the customers. Retail: Appealing customer experience is key in the retail sector. Digital twin implementation can play a key role in augmenting the retail customer experience by creating virtual twins for customers and modeling fashions for them on it. Digital Twins also helps in better in store planning, security implementation and energy management in an optimized manner. Healthcare: Digital Twins along with data from IoT can play a key role in the health care sector from cost savings to patient monitoring, preventative maintenance and providing personalized health care. Smart Cities: The smart city planning and implementation with Digital Twins and IoT data helps enhancing economic development, efficient management of resources, reduction of ecological footprint and increase the overall quality of a citizen’s life. The digital twin model can help city planners and policymakers in the smart city planning by gaining the insights from various sensor networks and intelligent systems. The data from the digital twins help them in arriving at informed decisions regarding the future as well. Industrial IoT: Industrial firms with digital twin implementation can now monitor, track and control industrial systems digitally. Apart from the operational data, the digital twins capture environmental data such as location, configuration, financial models etc. which helps in predicting the future operations and anomalies.